What are roots and where can we find them? 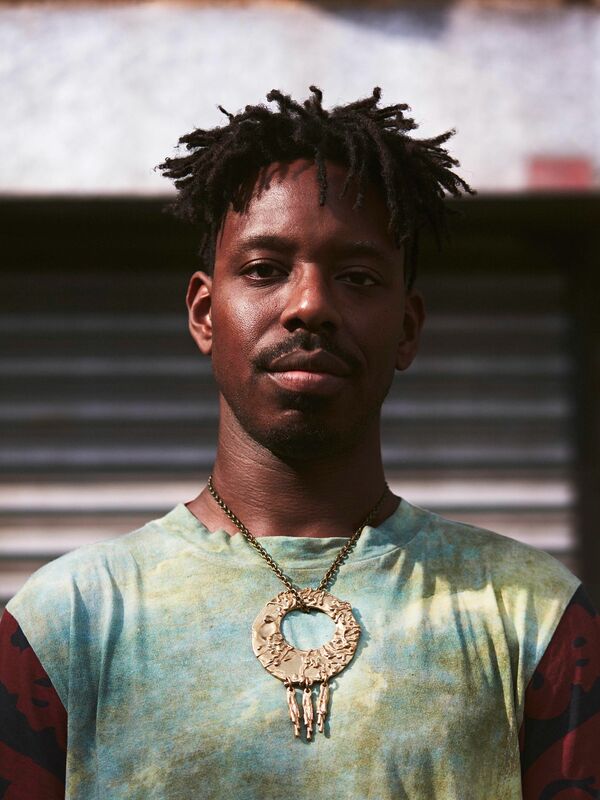 This question is at the heart of saxophonist Shabaka Hutchings’s album Wisdom of Ancestors. With Caribbean blood, Hutchings was born in London. He then lived from six to 16 in Barbados before returning to the UK. While Hutchings's mixed background helped him realise his identity was not fixed, he still questions his roots. Hutchings’s musical output is mixed too. 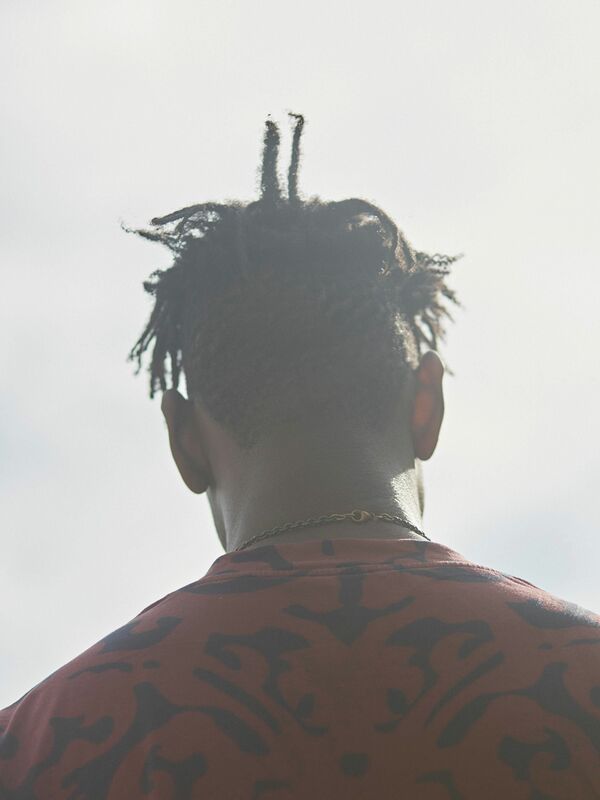 With groups including Sons of Kemet, The Comet Is Coming, Melt Yourself Down and Thousand Kings, he spans jazz, hip hop and African-Caribbean music. He also performed alongside the Sun Ra Arkestra, Heliocentrics and Polar Bear. For Wisdom of Elders, he recorded with the Ancestors, made up of members from the Amandla Freedom Ensemble – a South African group. Hutchings met them through a musician called Mandla Mlangeni while gigging in Cape Town. For the release, you spoke about how wisdom is an energy that we receive from our ancestors. When I was in South Africa, I thought about how I relate to the context of ancestry – which is from the Caribbean, where in some ways my ancestry stops at a certain point. So, in this situation, I need to create another framework for ancestry that's not based purely on blood. Maybe it is the passing down of information? It gets passed from one generation to another; I see that as wisdom. One of the most obvious ways of passing down information is through music and the messages that it supplants. But by messages, I don't mean something I'm telling you to interpret. Some things are intuited that we don't have the capacity to explain in a semantic language. Roots has to do with history. And history is always a matter of perception. There's never anything objective about it. It will always be a matter of discovery. You can run into problems when you think of history as being very black and white. Is it crucial for each person to discover them? I think it's important that they think about it and the role of that discovery. But it's about the end result. I don't think you should discover your roots so you can detach yourself from where you're at. So you can say, I am this and he is that, and make binary definitions that separate people. It's necessary to go on that path of learning what's happened, putting a lot of thought into how that relates to your situation. But there is not one definition that fits everyone. So identity is not as not fixed as we commonly think? Yeah. The underlying reasons for this kind of fetishisation of roots, the whole thing of where are you from, it's just really strange. If you were to see a white South African and ask them where they're from, their family might have been living in South Africa for 300 years – regardless of the context. That could be as long as a Caribbean person's family has been living in the Caribbean. In general, in people's minds, the question of belonging is tied into race and the whole sea of racial dynamics. It's good to unpick it without having any preconceived stance of what the answer will be. It's just that thing of how you uncover the roots. That's the important thing. Take the analogy of roots, like the actual roots of a tree. If you wanted to discover what they are, and just ripped them out the ground, the tree will die. And that will be no good. You'll see the roots but the thing itself is dead. You want to be able to discover how far the roots go down and what they're comprised of. To learn about the whole entirety of the tree while it is still alive. No, not really. Having those changes in those particular periods of my life caused me to become numb to needing to align myself to one place or another. It doesn't bother me. I don't feel the need to assert my identity in relation to one place or another. I’ve read a lot about black history but I know that just knowing where you came from won’t make you feel whole. There's often other reasons that people choose to delve into where their roots lie. For me, it's about addressing those issues at the same time. If it's a matter of you not knowing your history, then that's cool, just learn it. If you don't understand why you've got into a position or your family is under a certain socio-economic blanket, there's ways of figuring that out. After unpacking your situation, you figure out where you are. Then your relationship to the question of roots becomes different. Was there something specific in South Africa that made you think about roots? Someone was talking about ancestors. The word comes up more than it does here. So before forming the group or naming the album, I heard someone say: the ancestors are all around us. I remember just thinking about that phrase and what it meant to me... in terms of poltergeists floating around. What are these things that are floating around us? Is there a spirit next to you? It could be a fact of the energy or the life force, or the experiences that comprise people that have passed away – that they are with us and informing our reality for the decisions that we make. We are not acting in a singular bubble, which much of western philosophy forces us to think. All of our actions are a culmination of the processes that happened in the past; our decisions are influenced by people that have passed away. Appreciating that makes you understand why you react to certain situations in certain ways. Once you've realised those things, what happens? It’s not definite that you will find peace; you might just find rage. And that's cool as it might manifest itself in you running really fast, or playing an instrument, or just deciding to apply yourself academically in a certain way. Or not. It might mean you commit yourself to raising a family and just getting on with life. Does being aware of roots play a big part in that understanding? It's allows you to commit to a direction in life. Without understanding where you come from or the reasons that you're going in a certain direction, you can’t fully commit to where you're going. Why are people today so disconnected from their roots? A lot of people I know do think of where they come from. But in general, it's easier not to. In terms of the power structure in this country, there is an interest in keeping people in the here and now. In having people think that all there is only the situation that they're in. I guess they don't want people to go back and realise how society is divided up. Then people would understand why the rich are rich, and the poor are poor. That's roots as well. The origins of the class divide. The class divide feeds into the racial divide. It all stems back to people making specific decisions, not some abstract theory. The way the media and politics is constituted, there's not a near instance for people to really look back and think physically about why we're at the position that we're in. Or why that guy has many, many millions of pounds while they other guy has pennies. Do you think the way those things happen, those decisions, is that the energy you spoke of earlier? In a way. The thing that I'm interested in is how certain things are passed down and why. That's the kind of energy that I was referring to. It is something inside you that makes you want to actually discover your roots. For me, that is that energy. When did you first tap into that energy? When I was around 27. I decided to stop reading a lot of really hectic stuff to do with black people. I was going down a bit of a dark path. When you're looking into the history of oppressed people, you can go down a very dark hole. I've seen the world through the gaze of subjection. I was ignoring everything else, the other side of people's lives that doesn't have to do with oppression. I think, in the last five years, I've started to see things in a more nuanced and balanced way.